When I read that Sara Gruen was coming out with a new novel and it was set during WWII, I jumped at the chance to review it. Her best-selling book WATER FOR ELEPHANTS is still one of my all-time favorite books. It was also adapted into a movie that was extremely well done, in my opinion. AT THE WATER’S EDGE is mainly set in Scotland during the middle of WWII, but it begins in Philadephia. Maddie and Ellis are married. They and their friend, Hank, have just embarrassed themselves in front of Ellis’s parents. They have officially written Ellis off and ended all financial ties. Ellis, Hank, and Maddie have been used to living a life of luxury which included shopping all day, partying all night, sleeping it off and starting over the next day. When Ellis makes fun of his father’s attempt to capture the Loch Ness Monster, he realizes the only way to win back his affection, and more importantly, his money, is to hunt the Loch Ness Monster himself and restore his family’s good name. Without much thought to what was going on in the rest of the world, Ellis, Maddie and Hank sail off on a ship to Scotland during the middle of a war. Each part of the journey offers a social awakening that neither of them can comprehend. Their arrival in Scotland is met with much judgment about the men not serving in the war and their lack of respect towards the people they expect to serve their needs. Each day Hitler continues to rage war against the innocent while the two men are trying to find the monster, oblivious to other’s needs and concerns. With Maddie left alone at the inn, she begins to realize this journey has been a huge mistake and she comes to learn what is really important in life. I was quite frustrated with the three main characters and their lack of respect and empathy, as well as the ridiculous expectations they had toward those they viewed as their servants. I didn’t like the characters which made me not want to read the book because they made me so angry. But, as I continued to read, I found I was drawn into the story as I saw Maddie changing before my eyes. Even with frustrating characters, Gruen skillfully writes with attention to historical detail, richly descriptive settings, and offers a bit of a scandalous romance to keep readers interested beyond flawed the characters. I enjoyed that this was another WWII novel, with yet a different perspective on the war. Even though Scotland wasn’t directly affected, they were still suffering due to rations, lack of medical services, financial losses and buildings being bombed. Many of their family members also went off to serve and never returned. The novel shares a lot of history related to the Loch Ness Monster and the numbers of people who have attempted to capture a photo of it. With Maddie left behind each day, she begins to befriend the women who work at the inn where they are staying. These friendships become valuable to Maddie and contribute to her new found courage and maturity. Her new friends, Meg and Anna, teach her skills and eventually allow her to help out around the pub. But, when Ellis sees that Maddie has crossed the line and has befriended “the help”, Maddie gets herself in a bit of trouble with her husband and Angus, the proprietor. This all leads to a dramatic conclusion that is a bit too tidied up. I would have to say that overall, the novel was interesting, but nothing that kept me up late at night reading. It won me over with the wartime setting and Scottish landscape but lost my interest a bit in the story. If you like historical fiction, you may want to check this out if you can get past whiny characters and a neatly-tied-bow of an ending. 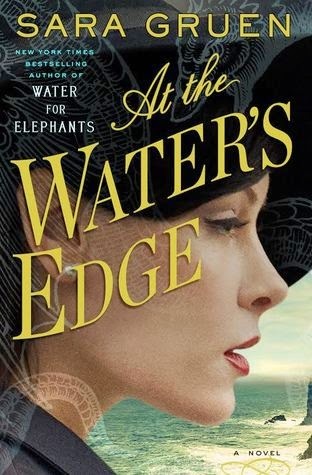 Sara Gruen is the bestselling author of WATER FOR ELEPHANTS, APE HOUSE, RIDING LESSONS, AND FLYING CHANGES. She lives in North Carolina with her husband and three sons, A devoted animal lover, they also enjoy the company of their dogs, cats, horses, birds and the world’s fussiest goat. 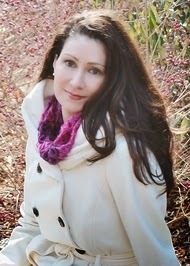 For more on Sara, visit her website, www.saragruen.com. You can also find Sara on Facebook, HERE and Twitter, HERE. Thanks to Random House for sending a eBook copy for the purpose of this review. This review is my honest opinion. I was not compensated in any way for this review. If you choose to purchase a copy of this book through the above link, I may receive a small commission without you having to pay a cent more for your purchase. Thanks for supporting SincerelyStacie.com reviews. Enjoyed this thoughtful, balanced review! Nicely done.